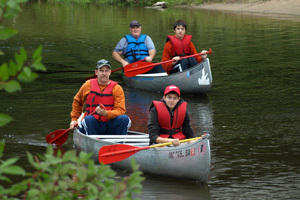 Happy Mohawk Canoe Livery offers canoe, kayak, tube and raft rentals on the White River. 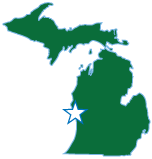 We are located in Montague, Michigan which is near Muskegon, and Silver Lake Sand Dunes; an easy drive from Grand Haven, Holland and Grand Rapids Michigan. We provide transportation, paddles and personal flotation devices with all watercraft rentals. 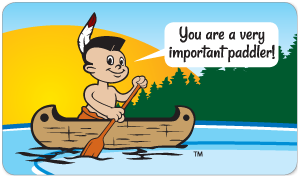 Happy Mohawk Canoe Livery has been serving customers since 1963. Happy Mohawk is privately owned and operated, it is not a public access site. » Your river adventure begins here! Open weekends in May, or by appointment. White River RV Park & Campground is the place to camp after your river adventure! Enjoy camping in Muskegon County near Michigan's Adventure and Silver Lake Sand Dunes. We have vacation rentals, cabins, and campsites including generous pull-through E/W/S sites, electric & water sites, or rustic no-hookup tent sites. Your outdoor adventure begins here! Want to be a Happy Mohawk VIP? Stop in and ask us how!